New York City College of Technology (NYCCT) participates in all federal and state financial aid programs. 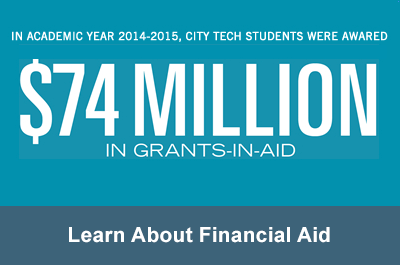 Financial aid is available to students in the form of grants, loans and work-study. Grants provide funds that do not have to be repaid. Loans must be repaid. Federal Work-Study consists of part-time employment, either on campus or in an outside agency. 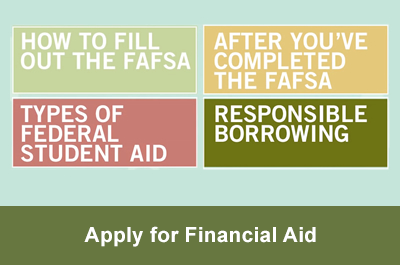 Financial aid is available to students in the form of grants, loans and work-study. 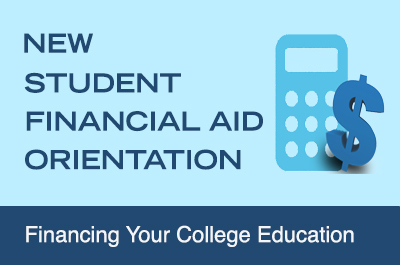 Financial aid helps pay to attend college. Learn more. Learn how to file you FAFSA, TAP applications successfully. Please Note: The Financial Aid Office will be closed June 14th, 2019 due to a Financial Aid Professional Development Conference.